The piano trio with bass and drums is one of the paramount forms of jazz. It permeates history and is a sort of “banner” for the standard measure of this music and a reference point by which one may appreciate the evolution of a century-old form of jazz. And ORBIT is a new chapter in that story. 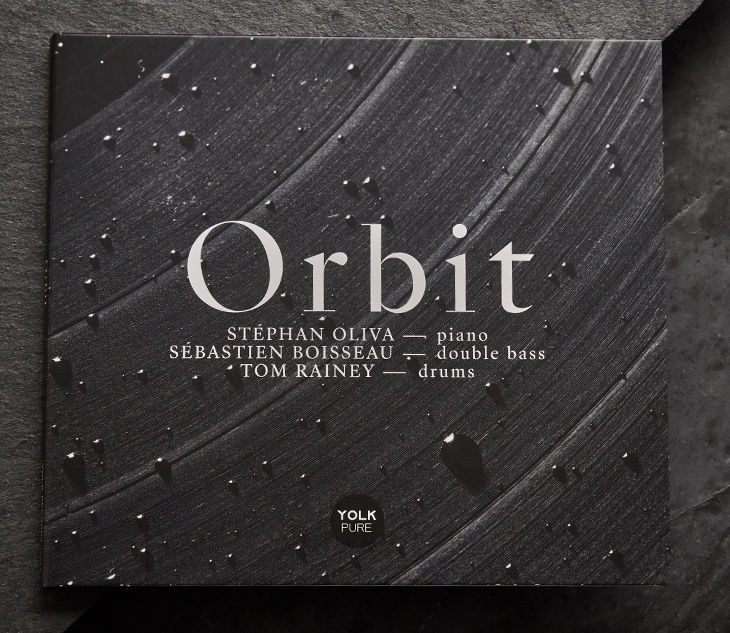 A pun on the initials Oliva-Rainey-Boisseau International Trio, ORBIT is a theme that drives the music of the group, perfectly illustrating what today’s trio can be: a universe of individual paths, instruments, personalities in orbit around each other. Three spheres of attraction and freedom, influence and feed into the two others. This theme naturally lends itself to the tracks that make up the album - Circles, The Tourniquet, Spirals, Wavin - but the music itself draws its energy, kinetics and interactions from it. 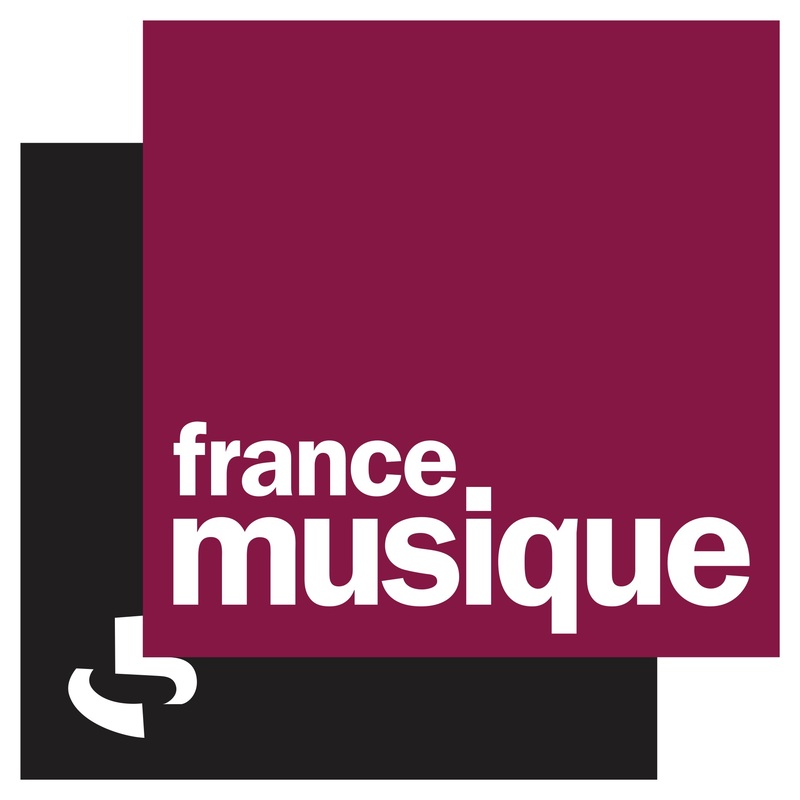 Stéphan Oliva and Sébastien Boisseau are the connoisseurs who concocted this trio project: the pianist has worked with Claude Tchamitchian and Jean-Pierre Jullian, Bruno Chevillon and François Merville, and with the legendary Paul Motian; the bassist began his career with Triade (Cédric Piromalli and Nicolas Larmignat), then went on to play in different trios with Joachim Kühn and Daniel Humair and more recently with the German, Hans Lüdemann. Their desire to dive into this triangular adventure together, required a drummer meeting their respective desires. The decision to invite the great drummer, Tom Rainey, was an obvious choice. He is also a fan of trios and has worked in particular with the bands of Simon Nabatov, Fred Hersch and Kenny Werner. 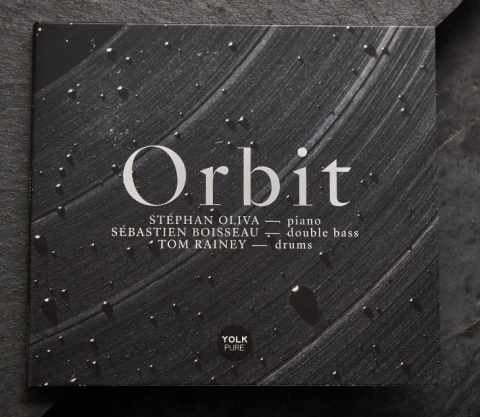 Oliva and Boisseau tweaked ORBIT’s repertoire specifically with Tom Rainey in mind. They played a few gigs together before recording the album at La Buissonne studios (in France) by the sound master, Gerard de Haro. 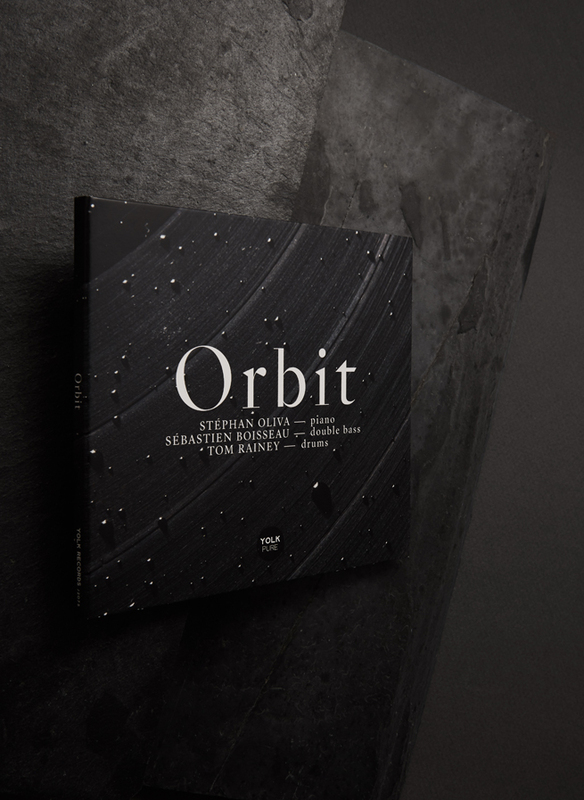 The track list includes compositions by both bassist and pianist, as well as a fascinating reinterpretation of Marc Ducret's work “Inflammable”, another celestial body floating around in the same constellation, and an influence and partner to all three musicians. Each theme is a pretext to play and improvise, the strength of which is appropriation. From stripped tracks and exciting convolutions to lyrical songs, the listener embarks on a journey of varied landscape, rich with detail. The album was recorded in conditions similar to live stage performance, in one take, with a goal of quickly getting down to the storyline, hence the fluidity of exchange that sets this music in motion. This album is the result of an encounter between three musicians, their stories and three worlds that interact, influence and feed each other simultaneously. 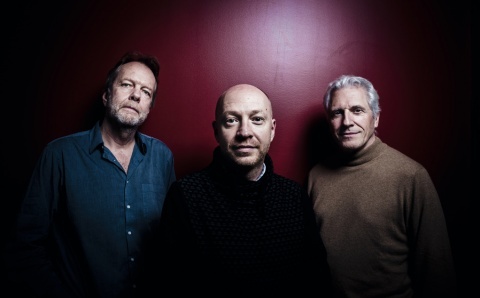 The mutual attraction between Oliva, Rainey and Boisseau gives birth to a collective work wherein the music seems in perpetual motion. The multidimensional flow of Rainey’s drums multiplies the possibilities deliciously exploited by his partners. We thus rediscover a more coarse Oliva which does not negate the depth and color of his music at all. Boisseau obviously enjoys playing with Rainey, the depth of his bass and his understanding of playing, mesh together with those unique drums. Three spheres rotating around each other, within a larger space connecting to that of the listener. Now it is up to us to contemplate this constellation of musical stars and intertwined orbits, the pleasure of which lives up to the expectations of this fantastic trio.